Dubai, UAE: A new showcase of hand-picked brands from across the globe will answer the needs and wants of consumers with darker skin tones and curlier hair textures at next month’s Beautyworld Middle East exhibition in Dubai, as the spotlight gets set to shine on multicultural beauty. The dedicated feature is presented by US-based multicultural beauty think tank Dark Metier, and will present a wide range of products, from foundations and cosmetics with shades and formulas created specifically for high-melanin skin types, to hair systems that care for thicker, more textured curls. Huggins said Beautyworld Middle East is integral to the larger global strategy for Ready to Beauty, which also has activations in the US, Kenya, Belgium and Brazil: “I think the Ready to Beauty retail style design is particularly thrilling as well,” he added. “It allows participating brands a strategic opportunity to tell their positioning and backstory better as if they had their own storefront. No one in multicultural beauty is staging this level of retail luxury and innovation in a trade fair environment. Ready to Beauty will be located within the USA pavilion at Beautyworld Middle East 2019, which takes place from 15-17 April at the Dubai International Convention and Exhibition Centre. It will be a one-stop-shop focused on the most appropriate products for African, Latin, Middle East and South East Asian beauty. Huggins highlighted some of the key brands that will be on display, including Camille Rose, a hair and skin care wonder from the USA, and Kenyan-owned Pauline Cosmetics, one of East Africa’s leading makeup brands developed to be inclusive for all shades of Black. 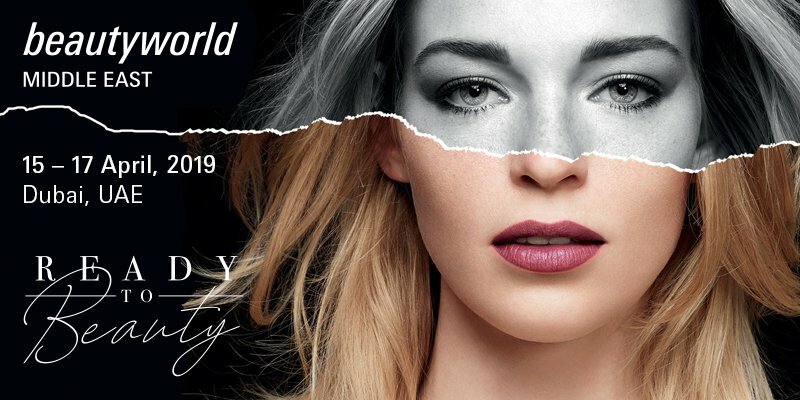 Ready to Beauty arrives at Beautyworld Middle East 2019 amid a growing preference for cosmetics and hair care suited to warmer skin tones and colours. According to industry estimates, multicultural women are also said to spend 80 percent more on cosmetics and nearly twice as much on skincare than other consumer bases. Elaine O’Connell, Beautyworld Middle East’s show director, said: “In our view, beauty bridges all cultural gaps almost effortlessly, and in Ready to Beauty, we have a unique showcase that will appeal to the diverse cultures and varied skin tones so prevalent in the Middle East and African region. “Trade visitors can expect to see a wide range of natural haircare products, skincare, personal care, and colour cosmetics varying from perfectly balanced to bold and warm. The special feature is yet another example of how Beautyworld Middle East continues to evolve and cater to the specific needs and requirements of its core market,” she added. Other notables at Ready to Beauty include emerging Men’s personal care brand UnderGuard; and more Kenyan names such as BU.KE, an artisan brand that handcrafts luxurious skin and haircare, and Sheth Naturals, which makes creams catering to a broad spectrum of hair texture and curls. Now in its 24th edition, Beautyworld Middle East 2019 will feature more than 1,750 exhibitors from 65 countries. The annual three-day event is organised by Messe Frankfurt Middle East, covering the six product groups of Hair, Nails, and Salon Suppliers; Cosmetics and Skincare; Personal Care and Hygiene; Machinery, Packaging, Raw Materials, and Contract Manufacturing; Fragrance Compounds and Finished Fragrances; and Natural and Organic. Ready to Beauty is just one of a number of value-added features that attract tens of thousands of trade buyers and beauty professionals every year. Front Row is the new big headline act for 2019, presenting a three-day programme of live makeup, hair, and nail demonstrations delivered by the region’s premier beauty artists, influencers, and creative talents. Returning regular features include the ever-popular Quintessence, an exclusive showcase of niche fragrances, and Battle of the Barbers, a live three-day competition where the UAE’s finest male grooming technicians will battle it out for two coveted titles: the UAE’s Best Barber and UAE’s Best Shave. The Fragrance Station and Nail It! By OPI and Artistic – a nail art competition – are other returning features, while the two-day Beauty Business Conference will cover pertinent topics such as women entrepreneurship in the beauty business and sustainable packaging of beauty products.